We tend to not give a thought to making a will unless we are diagnosed with a life-threatening disease or have reached an age where our friends are dying off at an alarming rate. But death can come unexpectedly, like a thief in the night (to quote the Bible). Every day we read news reports and hear anecdotes about people who have died in motor, industrial or hunting accidents (or even bizarre Darwin-award style accidents) or of heart attacks, aneurysms, strokes or other unexpected and sudden medical conditions. We owe it to those close to us to leave our affairs tidy, and this means that we must be prepared for the unexpected. Here are a couple of tips to bear in mind when it comes to your worldly goods. 1. You need to appoint an executor. This is the person who wraps up your estate, collects your cash and assets, pays your bills and taxes and distributes the balance to your beneficiaries. This is a technical and legal process, so you must make sure you appoint someone who is suitably qualified and experienced. It is also a task that has a tendency to be pushed to the bottom of the pile of a busy person who does not focus on or is not passionate about this kind of work, so you must also make sure that your executor also ticks these boxes. 2. You do not have to specify who must receive every single item and account that you have in your will. If you don’t mention a specific item, it forms part of the residue of your estate, which goes to your heirs. They will then have to decide among themselves who gets what. But if you want specific people to receive specific things or specific cash amounts from your estate, these are bequests that must be made in your will. Bear in mind that it might save those who you leave behind anguish and conflict if you have made your wishes known. 3. Everything that is left in your estate after your bills and taxes have been paid and your bequests distributed is divided among the heirs that you nominate in your will. You are free to leave this to anyone and in whatever proportions you like. There is no requirement that you leave a minimum amount or percentage to your spouse or your children. Of course, if you disinherit them and they are partly or wholly financially dependent on you, they will have a claim for maintenance against your estate. In this case, an actuary determines a lump sum that will satisfy the maintenance claim, which is treated as a debt that will reduce the residue that the heirs will receive. 4. If you have children under 18, they will need a guardian if both their parents have died. This is something that can cause a great deal of pain and conflict if there are different family members who each feel that if they should be the guardians or if there are family members who feel obliged to take on the role, but are not really in a position to do so. If you nominate guardians in your will, you will not only avoid this pain and conflict but will also have the peace of knowing that your children are left with someone you know and trust. 5. If you leave children under 18 and have not made provision for a trust in your will, their inheritance will be held in the Guardian’s Fund, which is administered by the department of justice. To avoid this to delay your children receiving their inheritance until they reach an age at which you believe they will responsibly manage their money, you must set up a trust for them in your will. To do this, you must nominate trustees. These must be people whom you trust to not only preserve and grow your children’s inheritance, but also to release money to your children and their Guardians when they need it. 6. Under South African law we have complete freedom of testation, which means that, as long as it is not illegal or contrary to public policy or morals, effect will be given to any instructions that you may leave in your will. However, you should guard against ruling from the grave. We cannot predict the future. 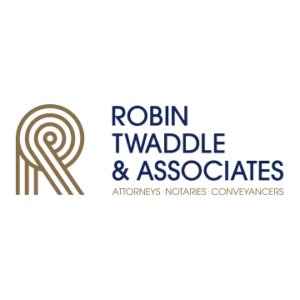 Although they may be made with the best intentions, conditions and stipulations that seem sensible when you make your will may cause your loved ones tremendous heartache and even harm many years later. It is advisable to keep things simple and to let the future take care of itself. If you would like to draw up a new will, or update an existing will, contact our office on 011 347 0300 or info@lawmen.co.za to make an appointment.